Good morning, friends. Hope things are going well for you on the first Saturday of the new year. One of the people we lost in 2018 was Tom Wolfe. I only remembered this myself because I ran across a video (below the fold) featuring Leonard Bernstein, whose party for the Black Panthers Wolfe so famously recounted. The original magazine article is still there. It wasn't just the meticulous research that distinguished Wolfe, but his contagious style, which has unconsciously slipped into the prose of many an admiring young writer. Wolfe alone could do Wolfe--that much was clear--yet his madcap way with words is essential study for anyone who wants to become an effective stylist. In high school, too many students are initiated into the cult of Strunk and White, those dread lords of awful writing who, were there justice in this world, would be put on trial for crimes against the language before some sort of writerly tribunal. Wolfe is the antidote to all that because he gleefully and methodically breaks every one of their dreary rules. His sentences slalom along through run-on clauses, fragments, dialects, slang, brand names, onomatopoeia, archaisms, alliterations, exclamation points, italics, neologisms. What English 101 builds up, Wolfe dynamites down, allowing one to reconstruct the debris into original style. Wolfe's understanding of humanity was primarily tribal: people take on the customs and prejudices of the groups they belong to and clash with those they don't. Hence why his characters are often accused of being universals rather than particulars. Hence, too, why his final (and weakest) novel, Back to Blood, was set in Miami and covered the tensions engendered by mass immigration. 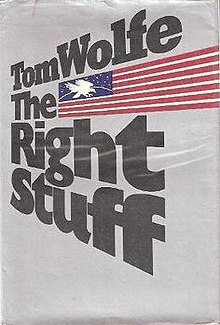 I did a "news" search for Tom Wolfe, and the only real result I came up with was a piece in the Tallahassee Democrat by a guy who tried to write a Tom Wolfe-style piece about the current state of America. The philosopher Arthur Schopenhauer called music the universal language that "always expresses only the quintessence of life and its events." What better way, then, to check up on America than to listen to what America has been listening to in 2018? I gave the subject a quantitative look, to balance out the subjectivity and maybe uncover a nugget of insight. He went to a lot of work. Ran lyrics through text analyzers. Not sure I really understood his conclusions. I wondered if something got edited out. Maybe it's just that I have only a passing acquaintance with most of today's new music. He seemed to find a Pentatonix cover of Leonard Cohen's Hallelujah to be particularly representative of 2018. It's there, if you would like to listen to it. Side note: America's music reflects an excess of freedom and liberty. Plato may have best described what happens when music is no longer "lawful and just." An overdaring sort of liberty. Lyricists raging like Bacchanals, crossing lamentations with hymns, paeans with dithyrambs, possessed by inordinate delight, creating licentious works to inspire the multitude with boldness and banish fear. Truth and lies right now are falling like the rain, so let the river run. America can't trust nobody with all this jewelry on . . .
That last paragraph sounds to me a little like he might be preparing for a poetry slam. Makes me yearn for a nice limerick. So, what do you think about today's most popular music and what it says about our culture? Speaking of poetry slams and artistic freedom and liberty, Titania McGrath has been invited to perform as a "strong feminist voice" at an event by Comedy Unleashed. They included their "standard behavioural agreement form", along the lines of those issued to potential performers on college campuses today. For example, jokes are not allowed. Which is okay with her. She has written a poem about how horrible stand-up comedy is. Move over, Muldoon. She asked for reader opinions on whether she should join the performance. Be careful not to say anything that would get you banned by Twitter if you respond. Unless you WANT to be banned by Twitter, of course. Incidentally, for those who have become interested in her pronouncements, Titania recommends following her housemate, Jarvis Dupont, a white male who owns his guilt and who is "in constant need of validation". His man bun fits him. He has not been invited to perform at the poetry slam, of course. They already have "problematic" poets for their event. Leonard Bernstein may have had some radical political views, but he wasn't trying to totally dismantle Western Civilization. I found an interesting video at Maggie's Farm. Here, he makes some comments about how performers (and conductors) decide to perform classical music. With illustrations by the orchestra. He also makes some comments about performing Shakespeare. All this comes before Glenn Gould gets started playing, 5 minutes into the video. Gould was an interesting character. Sometimes Gould did not show up for performances. Gould gave up performing in public at the age of 30, preferring the control that studio recording gave him. He called performances before an audience "hedonistic". One of Gould's performances of the Prelude and Fugue in C major from Book II of The Well-Tempered Clavier was chosen for inclusion on the NASA Voyager Golden Record. Is there anyone out there today like Gould? Note: This is the Thread before the Gardening Thread.